I’m writing to introduce you to a very unique children’s book series called The Pen-Stars series. 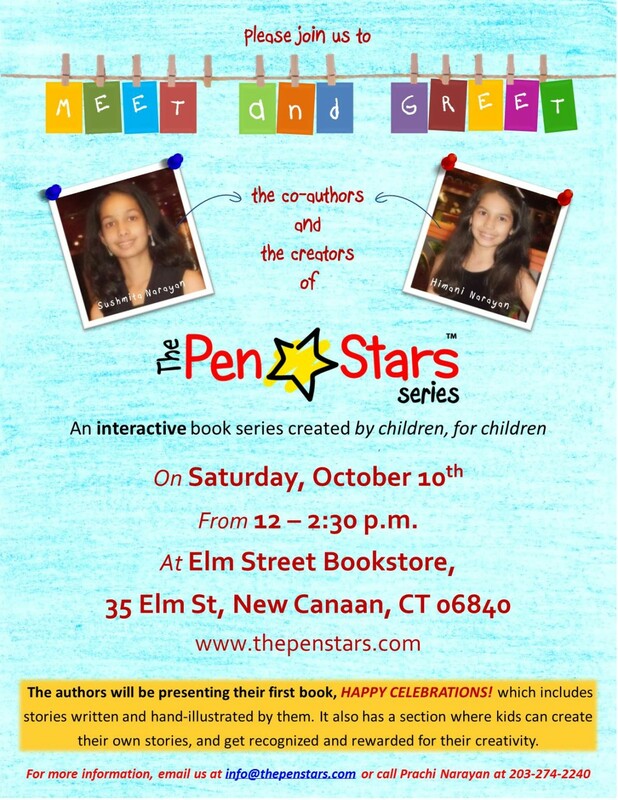 The co-authors and the creators of the series, Sushmita (14) and Himani Narayan (11), have been invited by Elm Street Bookstore to do a book event there on Saturday, Oct.10th, from 12-2:30, where they will be presenting their first book, Happy Celebrations! written and hand illustrated by them. We were wondering if you would be interested in featuring a story about the authors and their book series in your newspaper to help us spread the word about the book and the event so that more and more children can become a part of our Pen-Stars galaxy. 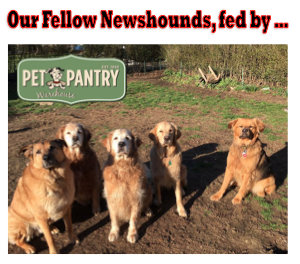 We would appreciate your help in getting the word out about our efforts. Please feel free to call or email me if you have any questions.